My flip phone, the venerable Motorola V710, finally took its last breath this weekend. It faithfully rode shotgun with me for 10 years. Obviously, as demonstrated by that fact that I am penning an elegy to a phone, I really liked my Motorola V710 and am going to miss it a lot. (Cue “Taps”). When it came out late in 2004, it was top of the line. The flip action was as functional as it was cool to operate. (Think Star Trek). It was Verizon’s first Bluetooth phone. It had a large 2.2-inch display screen. And it had a ton of other features. At the time I purchased the phone, the representative suggested I get the extended life battery if I was going to pair the phone to a Bluetooth headset, which I was. That extended life battery was good enough to provide me a week’s worth of power even with me making/receiving calls and sending/receiving texts throughout the day. Usually I shut the phone down at night to conserve power. It was one of the first CDMA-capable phones to use Bluetooth technology. It had voice recognition, a feature that I eagerly (and frequently) showed off to my coworkers when I first got the phone. When it first came out, it boasted a 1.2 megapixel camera, placing at the forefront for phones with cameras. An expansion slot for a memory card made it possible to store extra photos and…custom ringtones! Sound quality was superb, with clarity approaching that of a land line. When I first got the phone, many people could not tell I was talking to them from a cell phone. This was back when almost all cell phones had that tell-tale digitized distortion that prompted the person on the other end to ask, “Are you on a cell phone?” Not with this baby! And it dropped calls far less often than other phones. My V710 featured an analog band in addition to GSM and CDMA bands, a combo commonly called tri-band. This allowed my V710 to work in places where the digital phones could not. Like remote areas. Like areas where if you were stranded, you’d be thankful your phone got a signal. With this phone I was able to place and receive calls and/or texts in places like highway 285 leading to Roswell, New Mexico, areas of Central California, and lesser-known locations in Nevada. 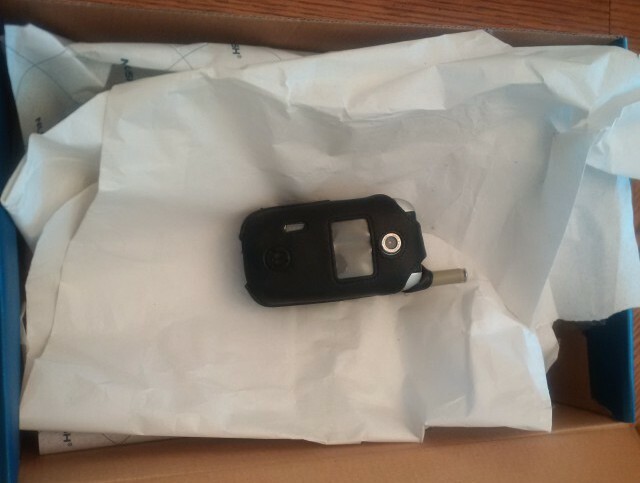 I was able to use it in Cancun, Cabo San Lucas, Mexico City, and Ensenada, Mexico, Rostock, Germany, and all over Jamaica – all without a SIM card or an international calling plan. Speaking of Jamaica, when our flight got cancelled one year and our group had to stay overnight in Montego Bay, it was my V710 the group used to notify people stateside of our status. No one else’s phone worked. There were many opportunities to replace it, but little things that other newer phones couldn’t do kept convincing me to keep my V710 in service. Then, of course, there was the cost of replacing it. Even the grief I was starting to get more frequently from friends and family alike couldn’t persuade me to part with my trusty phone. Honestly, I had known this day was coming for a few years now. My first inkling was when it came time to replace the battery again and the Verizon store no longer stocked them. Then, when the belt clip finally broke after several years of daily use, I had to get a new case from Amazon. By then they were being sold at giveaway prices. Signs of the impending end started becoming more frequent: Verizon discontinued their Pix Place so I no longer had a way to easily store my photos and download them to my computer. The last two extended life batteries I ordered were already a couple of years old by the time I got them. That let me know the battery was no longer being manufactured, and eventually I wouldn’t be able to get one. Not too long ago, Verizon dropped my V710 and other non-smart phones from eligibility for an upgrade allowance. Over the last six or so months, it became harder and harder to charge the phone. The contacts on the phone had worn down so much that making a solid connection with the charger became increasingly difficult. Last Friday night, I could no longer get the phone to charge at all. “That’s it, then,” I thought, as reality sunk in. Now I’m forced to get a new phone. Once the battery indicator started beeping, I realized I needed to get the photos I wanted to keep off the phone and stored somewhere else. My V710 sent about four photos with lots of sentimental value before it gave up the ghost. Unfortunately, gone is a video of my first grandson’s first steps. Gone are some beautiful photos from my commute. Gone are a couple of pictures of close family friends. Gone are photos of strange but true incidents. Its last act of service was texting a photo of my son to another phone so I could store it later on a hard drive somewhere. It died seconds after completing that transmission.